#149. 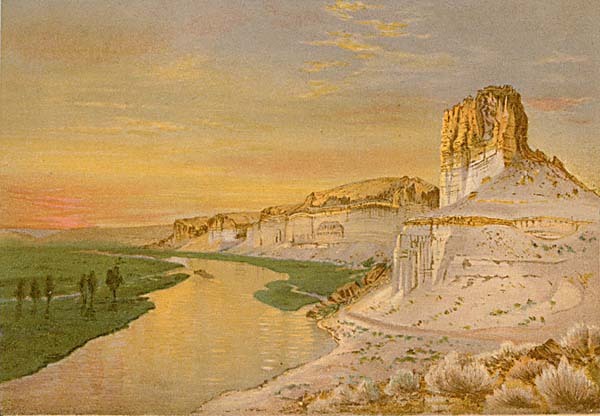 Eocene Bluffs - Green River - Wyoming. 6 x 8.5, chromolithograph. Title on plate. This picture is Plate XIV in Clarence King's Systematic Geology, published in 1878. It is based on an oil sketch by Gilbert Munger. 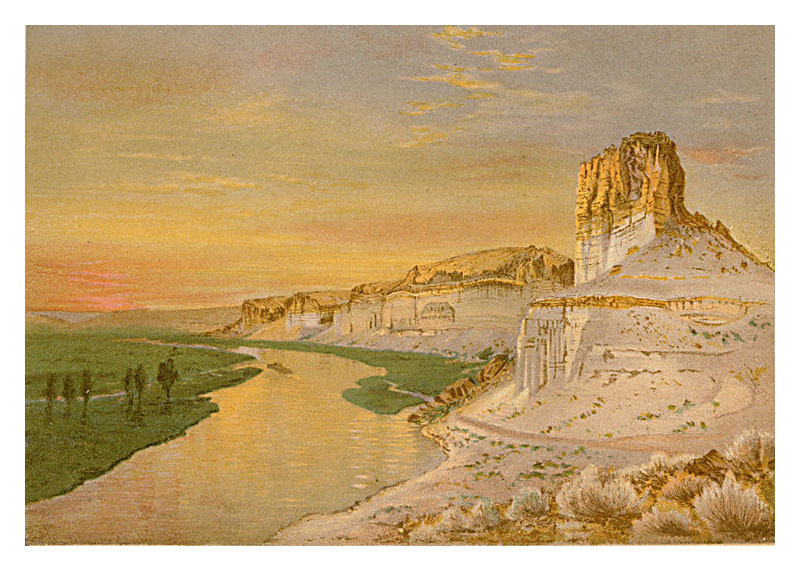 He was guest artist with King's 40th Parallel Geological Survey in 1869 and 1870. The rock tower resembles that in the background of painting #123. The location is near Green River City WY where the railroad crosses the Green River. The San Francisco Daily Evening Bulletin describes a Munger painting of the same scene (see the Document Archive entry for 1872 Aug 10). QFD 41. Image is a direct scan of the plate.